That’s the turn of the artist xguix to play the game of the StreetLove interview! 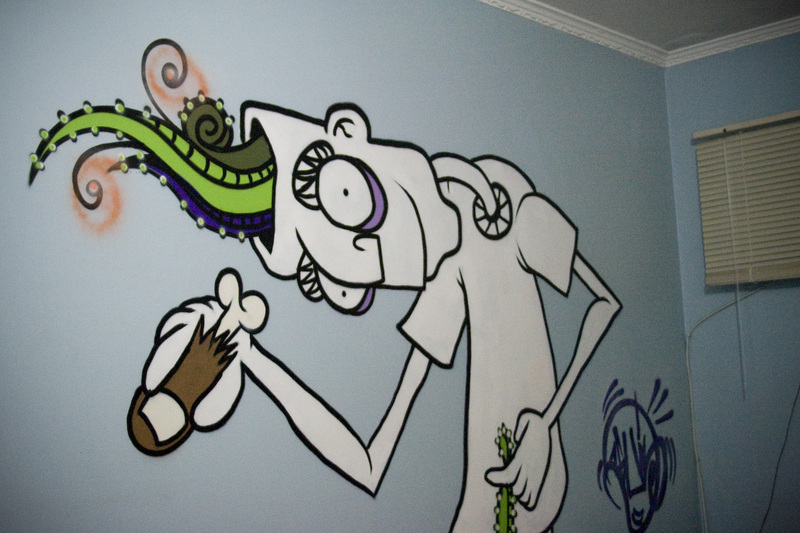 xguix is a graffiti artist from Brazil, in São Paulo. His artist name comes from the letters “gui” which are the first three letters of his name, this is simple. He is involved in street art since 2007, he started very late, but he doesn’t have time to stop. He was very interested in doing graffiti when he was in college, and him and his friend “verde” decided to do some works on the streets, so they bought some cans and they did some ugly letters around xguix neighbourhood. Since that, they never stopped. He doesn’t have a crew, but he used to paint a lot with “verde”, but nowadays he is in Florida, and he paints a lot with other friend called “chilli”. But honestly he tries to paint with everybody, any kind of style, the graffiti fun for him is to paint different walls and meet new graffiti artists. xguix is not only a graffiti artist, he works as a graphic designer and he is a photographer too. 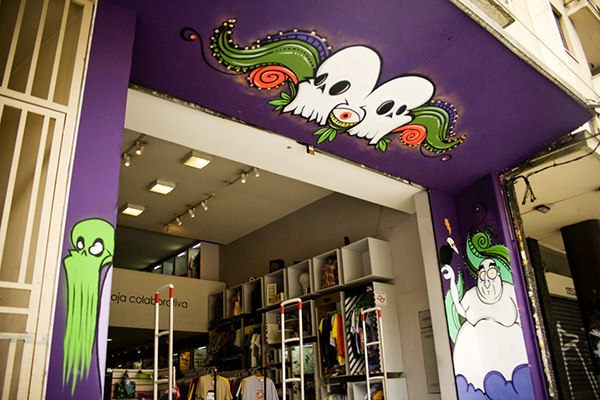 He has had two solo exhibitions, the first in “Vegas Club” located on Augusta Street, the most famous street in São Paulo. The second one was in “Praga Club”. Besides this, he participates in some collective exhibitions too. To promote his work, he uses two FlickR accounts: one for the graffiti stuff, and one other for the photos. He also has a Tumblr Blog and a portfolio. His drawings works in a series, but his graffiti works alone, cause he draw a lot of series of drawings, but he put just a few on walls. To work he uses cans and latex paint. He used to listen music, but nowadays he only listens to the sound of streets, he brings his pack of cigarettes and other cigarette. His favorite colors are: black, purple and green. He never leaves without his camera. And he also takes pictures about the environment where he’s doing the graffiti. 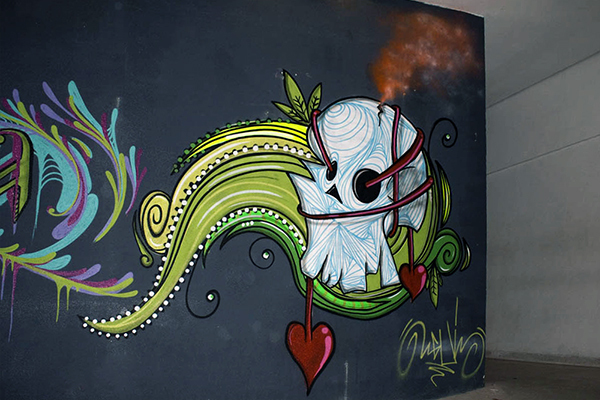 xguix loves 3 things in particular in life: his girlfriend, graffiti and the green one. He recently did some work about the anniversary of São Paulo, for the brazilian MTV Blog. Besides this he’s expecting a great 2011 year. And StreetLove whishes you all the best! Keep up the great work! Xguix Rules !! 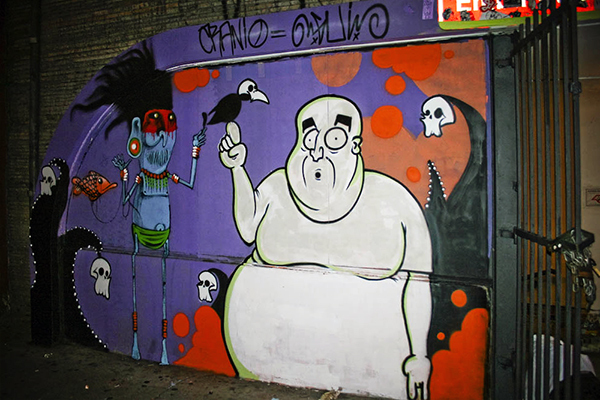 i saw some graffiti´s of him when i go to work on Cambuci District! Yes it’s very cool to promote his work on StreetLove! Heeey, i miss my brother, but he is going very nice in your job. Peace and a big hug. Yeeeeep… I’m so proud of my artist! *congrats to streetlove!!! Dope site! And glad you like our website! Have a great day! Merci Eric pour tes infos !